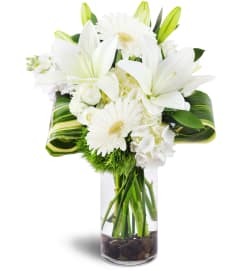 Send your senses sky-high with our Soaring Thoughts bouquet! Graceful calla lilies stand tall among delicate eryngium and gorgeous flowery kale. This unique combination is thoughtfully arranged to create an exquisite experience not to be forgotten. Will add elegance to any home or office. 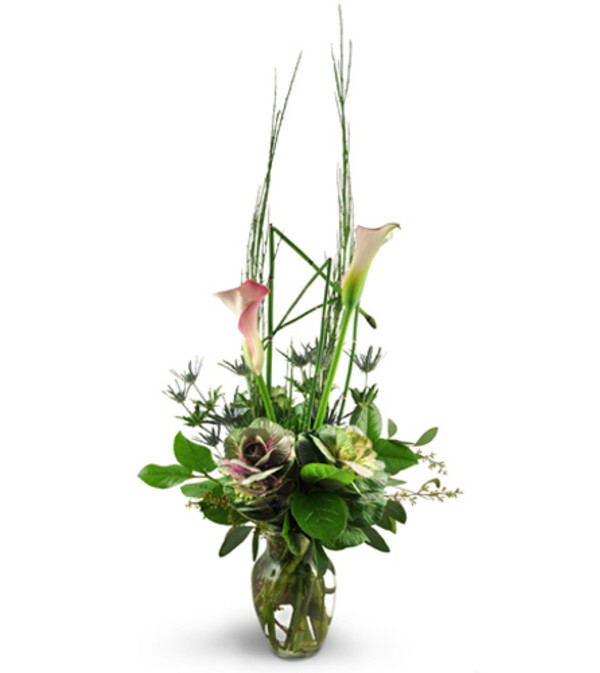 Calla lilies and colorful kale are artistically accented with eryngium, seeded eucalytus, horsetail, and aluminum wire.